Much focus is placed on the importance of holding elections in societies dealing with the aftermath of conflict because it is seen as a positive step in the development of democracy, which is held as the political way to move on from conflict to peace. As a person who supports the development of peace and democracy in post/conflict societies I thought it was about time I engaged in my own local politics and observe just how elections happen in a society that is considered stable and at peace! An edited version of this feature entitled “Tea, Laughs and Politics” was first published in the Donegal Democrat Paper on Thursday 5th June 2014. For a number of years I’ve gained a growing interested in politics yet I’d failed to use my democratic right to vote, in 2014 however I learnt to no longer take my right for granted. 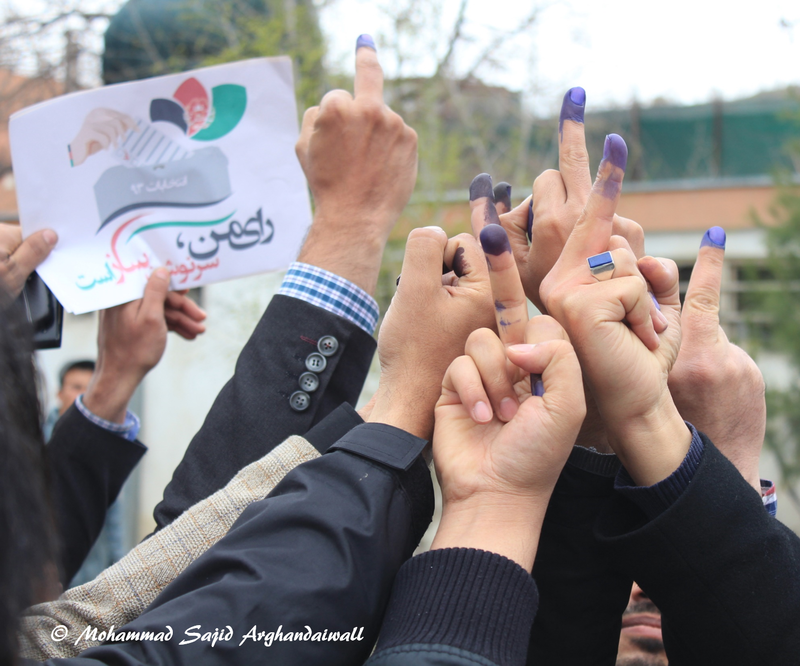 My awaking came from over 3500 miles away through enthusiastic friends in Afghanistan who were getting ready to vote in the April 5th presidential elections, the first time in 12 years that Afghan’s had the opportunity to elect a new head of state. For months friends had expressed excitement at having the opportunity to be voting as for many it would be the first time they would be voting. And when Election Day arrived my facebook newsfeed was filled with friend’s pictures showing queues of Afghan’s outside polling stations and ink dyed finger indicating that they had voted. I was inspired by such scenes and compelled to think about my own civic duty, realizing I was taking my own democratic right for granted and leaving others to decide who would represent me in local government. I therefore decided no longer could I be an absent voter when many of my friends in other parts of the world were putting their lives at risk just for expressing a democratic right. Having worked on the NCCWN-Donegal Women’s Network Election Special I knew I wanted to vote for candidates that understood equality and the issues faced in Donegal. Five of the sixteen Donegal electorate area candidates had responded to the networks equality questions which first made me pose the question do candidates who already hold some level of power and influence care or even hold other people’s equality in high regard? It was sad to see equality didn’t seem to be high on the agenda of many candidates, but it did make me realise who I wouldn’t be voting for on Friday 23rd May. 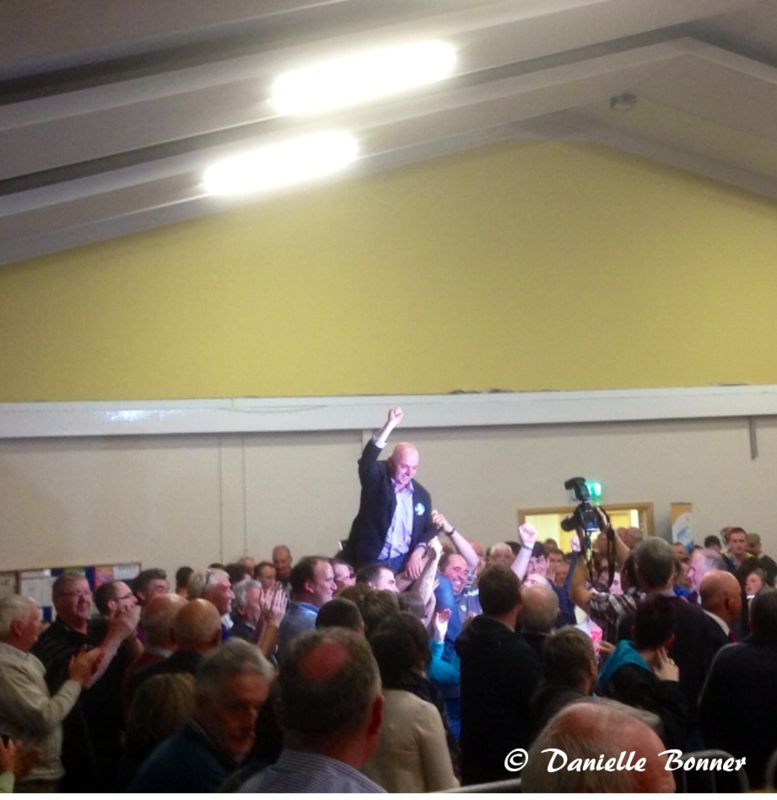 On Sunday 25th May 2014 I was then given the opportunity to observe the Donegal vote count at the St. John Bosco Community Centre, a new and insightful experience. There were 37 council seats to be filled six of which were to come from the Donegal electorate area. I wasn’t sure what to except arriving at 3.30pm I thought I‘d missed everything but the count was yet to start. 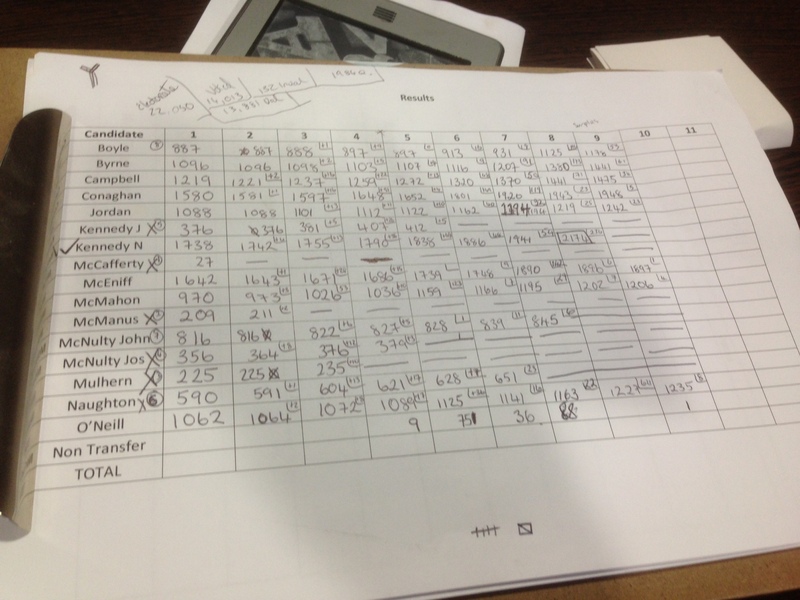 The first count was read at around 4.20pm with a vote quota of 1984 however no candidate had reached the quota. 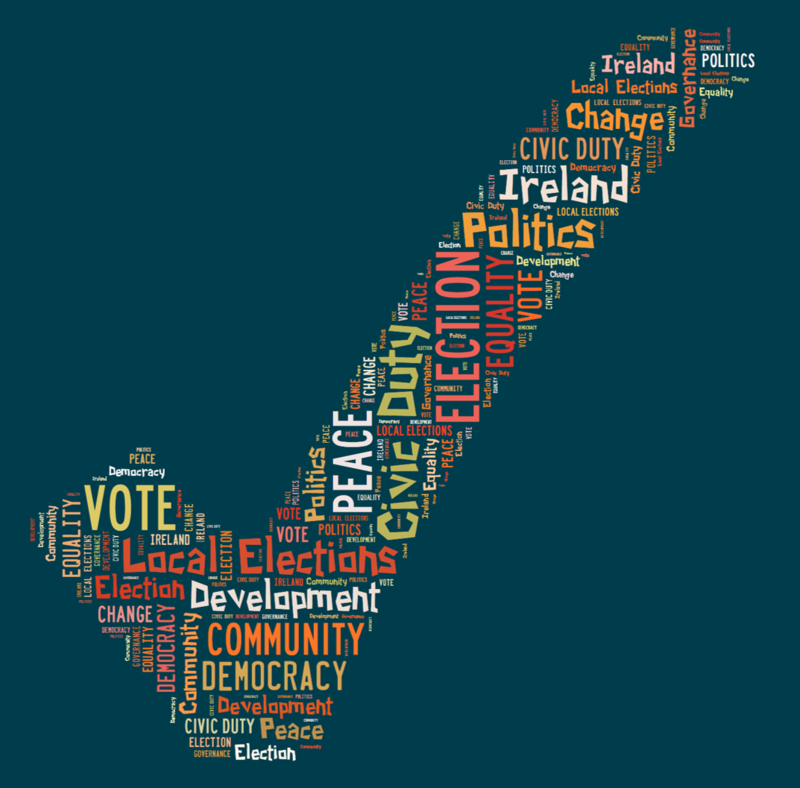 Because local elections in Ireland work by Proportional Representation the candidate with the lowest votes was eliminated and their votes carried over to the second preference candidate, a process carried out until the six candidate’s seats were filled. 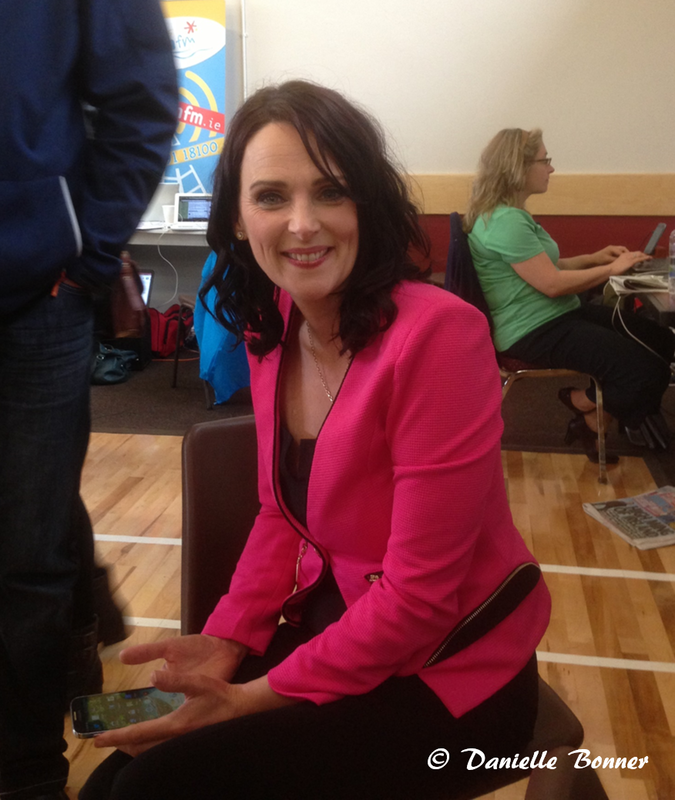 The first elected candidate came at count 8 with Niamh Kennedy, for me her election was a positive boost to local politics, not simple because she is a woman only 1 of 3 elected in Donegal but also because she was a first time candidate elected receiving the highest votes over candidates who were sitting councillors. Her election serves as a positive example to any budding politician thinking about running for future elections. The same could be said of Candidate Tom Conaghan who had ran in the last local election and only lost by a few votes, yet he came back and received the second highest vote preferences. Elections are challenging, exciting and every vote counts. While we also have to take the bad with the good, the fact is people won’t always 100% agree on who’s elected but the point is we must ensure that the way people are elected is fair and democratic which therefore requires the public to vote. In Donegal the voting turnout was 58.21% representing 73,096 out of an eligible electorate of 125,830 (Irishtimes, 2014). This means 41.79% of the electorate did not vote, I ask myself what is the reason for this absence? And how can people complain about governance and the need for change if they don’t vote? It’s common to hear complains about the lack of good governance and the need for change in our political systems yet in order to achieve this change we as the general public need to make that change happen through the ballot box. And OK while some may say “but my vote won’t make a difference” yet if people continue to act to this belief then certainly nothing will ever change and the people who do vote will dictate who governance your society. People therefore need to get involved in politics, it may not be everyone’s cup of tea! Yet politics is part of our everyday lives whether we like it or not, be it our ability to access public services, health care, even down to getting those pot holes in your road filled, the list is endless. This is your community so make sure you have people in government that are those who will work for the positive development of your community. On a final note I’d like to thank John Campbell for giving me the opportunity to come along to the count and to his mother and sister for entertaining me with a few laughs in between the very long count waits!